NOTE: Schedule Subject To Change Without Notice. 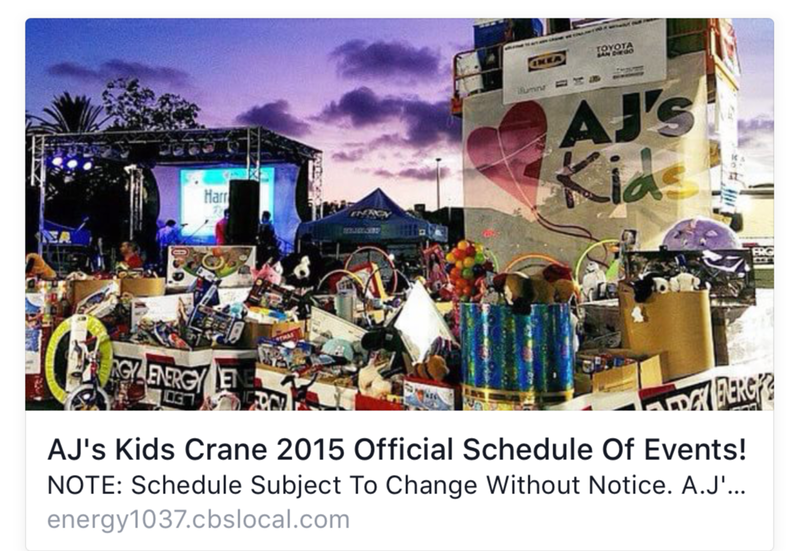 A.J’s Kids Crane 2015 is jam packed full of awesome and fun events for the whole family! The best part is, anybody who brings a new, unwrapped toy for the… San Diego’s Next Great Radio Station!